Since 1973, Whitehall of Deerfield pioneered luxury healthcare in Chicago’s North Shore. 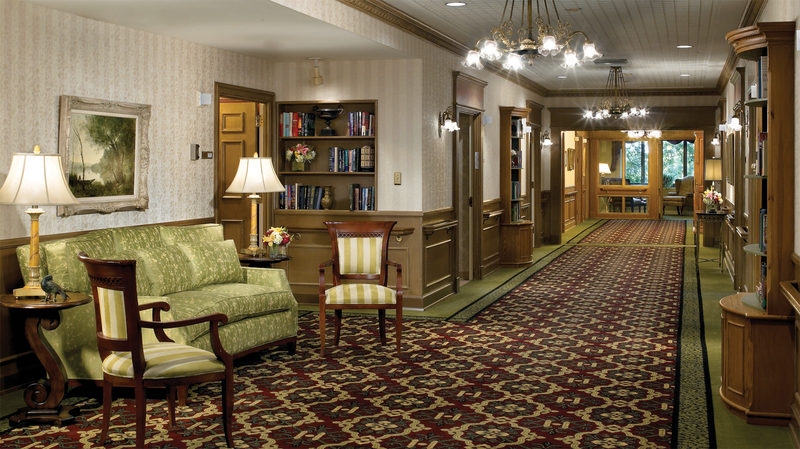 With its lavish woodwork crafted by hand, museum-quality paintings, solariums, spacious rooms and suites, concierge service, valet parking, gourmet coffees and a stunning array of world-class amenities—Whitehall of Deerfield proves it is possible to combine luxury with superb nursing care. Whitehall of Deerfield continues to set the standard for attentive service and comfort in the healthcare industry. As an acclaimed North Shore rehabilitation center, it is also highly recognized for restoring individuals’ independence quickly and comfortably. Whitehall of Deerfield is accredited by the Joint Commission on Accreditation of Healthcare Organizations, the nation’s most respected healthcare accrediting group. We’re proud to have earned their “National Quality Approval Seal.” And it’s just one proof of the higher standard of healthcare we provide. Whitehall of Deerfield received Medicare’s highest rating in its five-star quality rating system of nursing and rehabilitation centers, reflecting Whitehall of Deerfield’s outstanding clinical care and outcomes. Medicare and insurance may cover part or all of your short-term rehabilitation stay at our Elective Orthopedic Pavilion. Our Admissions professionals will help you understand the benefits and coverage you’re entitled to receive.